Best Treadmill Buy Recommendations by Industry Experts! ProForm has received our Best Buy recommendation on their ellipticals for many years based on design and satisfaction. While ProForm has offered treadmills in the past, we never recommended their budget models. With recent quality enhancements we now feel ProForm is a major player in this pricing category. 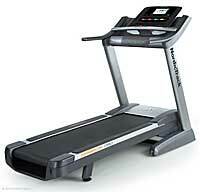 For a folding treadmill in the budget category, The ProForm Power 995i should be your choice. 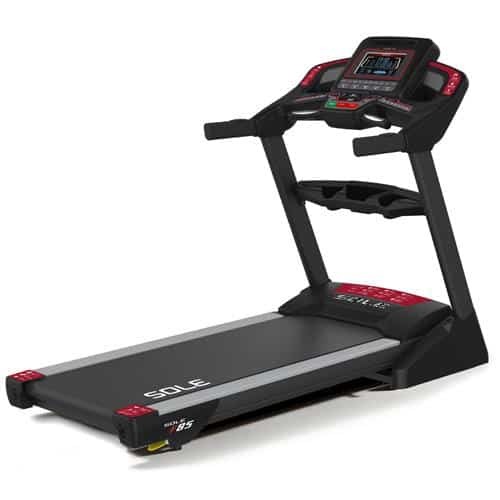 This treadmill blows away the competition pumped with features such as a long 20x60" deck, 30 workout programs and large 2.5” rollers. It has received “Excellent” ratings for ergonomics and exercise range. Read our Review Here as we have personally tested this machine against competitors in the same price range and the ProForm Power 995i gets our "thumbs up" Best Buy award. 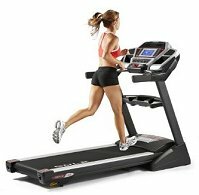 Also, visit www.ProForm.com/Treadmills to learn more. The Commercial 1750 includes some very impressive specs for the price including a 3.5 HP motor, 22″ x 60″ treadbelt, sound system, color touch screen display and a 5-year parts and 2-year labor warranty. However, what makes the Commercial 1750 a standout is the innovative iFit Live feature. Your treadmill communicates with the Internet, allowing you to download customized workouts from Jillian Michaels, track your progress online, and simulate running trails around the world while you visualize it thru Google Maps. Read our full review here as we feel the total package makes the Commercial 1750 a winner. Also, you may wan to visit the manufacturer site NordicTrack.com to learn more! Recently, a friend of mine said "The Incline Trainer is Brutal". I thought to myself "I should try one of these but she is probably just out of shape and bluffing, LOL". Was I wrong! If you prefer running I would recommend a treadmill as the X9i works best at walking up extreme inclines (like hiking a mountain). You can adjust the incline up to 40% and decline down to 6% to similate going up and down hills. The advantages are you get an intense cardio burn, plus there is less shock and impact to your body because you are walking. 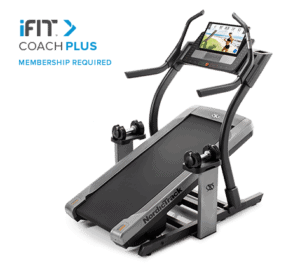 The NordicTrack X9i Incline Traienr comes with an extra long 62" belt, and you get a 10" Android browser that also lets you access the Internet. Read our full review here as this is one of NordicTracks hottest sellers. 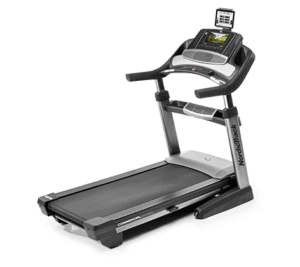 Also visit the manufacturer site at www.NordicTrack.com to learn more. The NordicTrack Commercial 2950 is a top of the line machine with a powerful 4.25 CHP motor, large 22x60” running surface, and 10” smart HD touch display. It comes with an adjustable running surface that both inclines and declines along with a 5 year parts/electronics and 2 year labor warranty. Finally, you can use the features of iFit Live to add excitement to your daily run. Read our complete Review Here. You’ll learn why NordicTrack is one of the most popular brands on the market. Also, visit the manufacturer at NordicTrack.com. 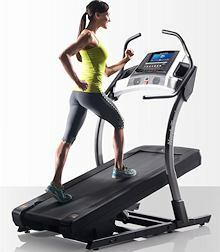 Note: Our 2019 Best Treadmill ratings are based on personally testing the machines, professional feedback and customer testimonials. We attempt to be as accurate with the information that is provided. Be aware that manufacturers change prices ,machine features and designs without notice, and may not be reflected in our Best Buy reviews.